I can't believe it's already February. This first month of 2016 was a good one for me: I graduated and the company I currently work for decided to renew my internship, so I will be working here for another six months. I couldn't be happier and I hope that February will be just as good and full of amazing experiences. I have combination skin, a little bit oily in the T-Zone and more on the dryer side on the cheeks. Those past months, however, my skin has been acting up and was really dry all over. Every foundation I had was clinging to all the dry patches and looking awful, until I tried the Antipodes Vanilla Pod Hydrating Day Cream as my daily moisturizer. I've had this one in my collection for a while but never tried it because I was scared that it was too rich for my skin. As soon as I tried it, though, I fell in love. It's moisturizing and gentle on the skin, it doesn't make me look or feel greasy or oily and it's overall a really good base for my foundation. I only have a sample of it but I will probably buy the full size as soon as I use this up! 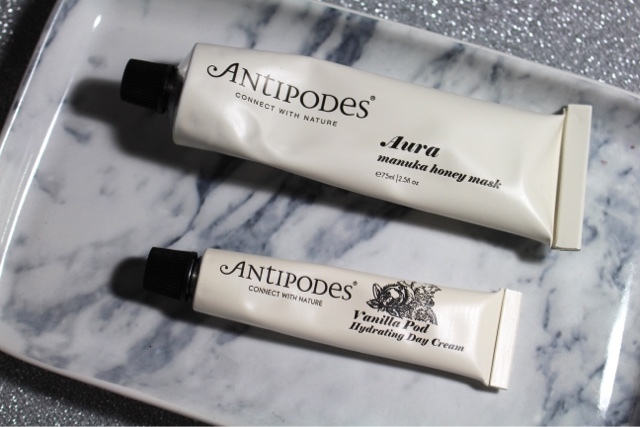 Another Antipodes product I've been loving lately is the Aura Manuka Honey Mask. This was like a breath of fresh air for my skin: after using it my face felt really hydrated and smooth. I use this mask at least twice a week and it's the most amazing thing ever. If during winter your skin gets extremely dry, this product is worth trying! A couple of weeks ago I bought the Catrice liquid camouflage High Coverage Concealer because in my mind it was really similar to the Urban Decay Naked Concealer. I still have to figure out if those two products are actually similar, but I can safely say that the Catrice one is really really good. It's moisturizing on the undereye area, it's high coverage and doesn't settle into the fine lines badly. I notice a little creasing after 7/8 hours of wearing but every single concealer creases on me at the end of the day, so it's not really different from the more expensive ones I own. Again, it's worth a try, especially for the price. I believe I payed less than 4€ for it, so you can't really go wrong. At the end of december I also rediscovered another product from Catrice, the Eye Brow Designer. The shade I have is 020 Date with Ash-ton, which is the perfect ash tone for blondes. The pencil is hard enough to draw little hairs and mimick real brows and again the price point is perfect. For my eye makeup I used the Zoeva Cocoa Blend Palette a lot. It's the first palette I grab when I don't know what to do with my makeup or when I don't really have much time. 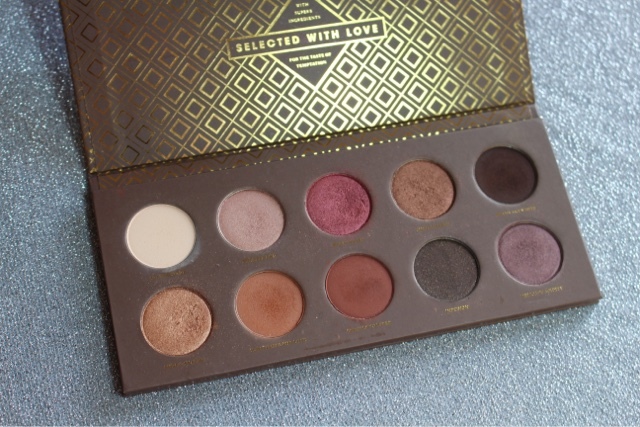 I usually use at least a couple of colors; if you like warm tones, this palette is perfect for you. The shadows are extremely pigmented and blendable; it's a mix of my most used shades, perfect for everyday. The Kiko Moon Shadow Water Infused Eyeshadows are also great. Those are stick eyeshadows perfec for when you want a fast smoky eye or for when you can't be bothered to do your makeup. It's a one step product and it comes in different shades, so you can find the most suitable to your likes and needs. Let's talk about lips, shall we? In the past weeks I used Nabla's Diva Crime in Underground like crazy. I am completely in love with this dark rich shade and the formula of the Diva Crime is probably my all time favourite. It's easy to apply, the color is pigmented and creamy, the lipstick stays on for hours and it's extremely comfortable on the lips, too. After a couple of hours the color "dries" and becomes more matte and even more beautiful. If you haven't tried the Diva Crime yet you totally HAVE TO, and again you wont regret it. 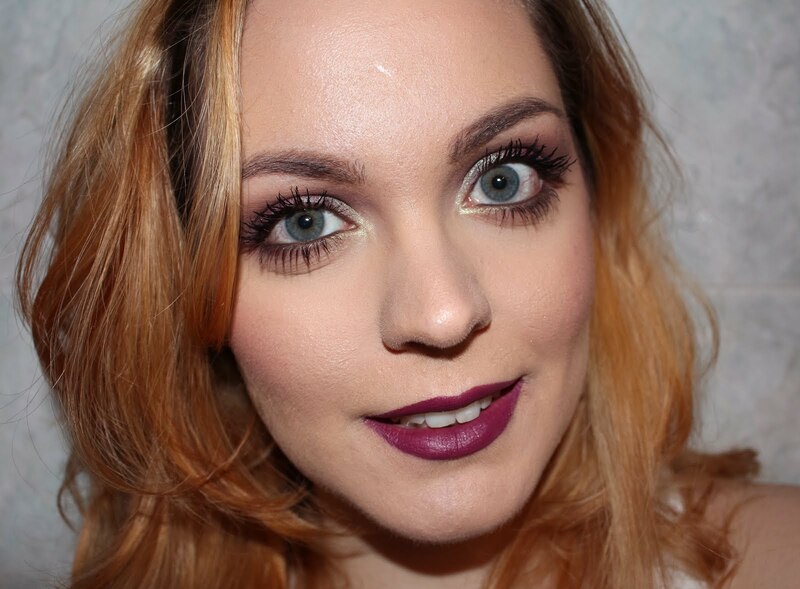 At the end of 2015 I discovered the NYX Liquid Suede. 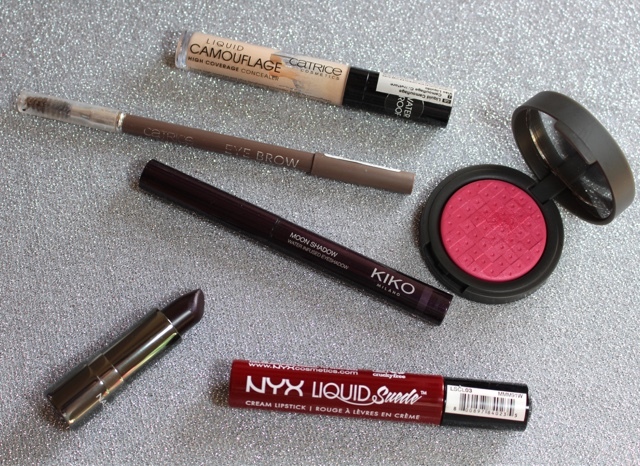 These are the most comfortable liquid lipsticks I tried: upon application the color is creamy and rich and it dries to a semi-matte finish without drying the lips. I just ordered some more shades, but my most used is Cherry Skies. Last but not least, a step out of my comfort zone made of peachy blushes with this Madina Prisma Blush n.05. The texture is amazing, it lasts on the skin all day long and the prisma formula gives a nice sheen to the skin without being glittery at all. After buying this shade I went out and bought more, so I will probably write a post about them soon! That's it for January! I hope this month was good for you too. Let me know which products you liked this month, I can't wait to hear from you and try some new stuff! I bought the catrice concealer after you suggested it and love it as well!!! :D that madina blush looks stunning! I can't wait for my madina order arrives at the end of february!! That concealer is amazing, I'm completely in love! What did you pick from Madina? [FACE OF THE DAY] Wanna be my Valentine?